Dear HO Modelers last year Union Pacific 1943 toured Eastern United States, Athdearn has decided to produce UP 9082 so you can recreate this image pictured above. AC current that is rectified to DC current, which powers the traction motors. On the SD70ACe, the DC current is then “chopped” back into AC to power the traction motors. Much of the external design is based on the SD90 series locomotives. Similar features include the full height nose door and rectangular windshields, the large flared radiators with two fans, and the positioning of the dynamic brake equipment at the rear of the long hood. In addition, the inverters were moved from inside the long hood to a box on the walkway behind the fireman’s side of the cab. 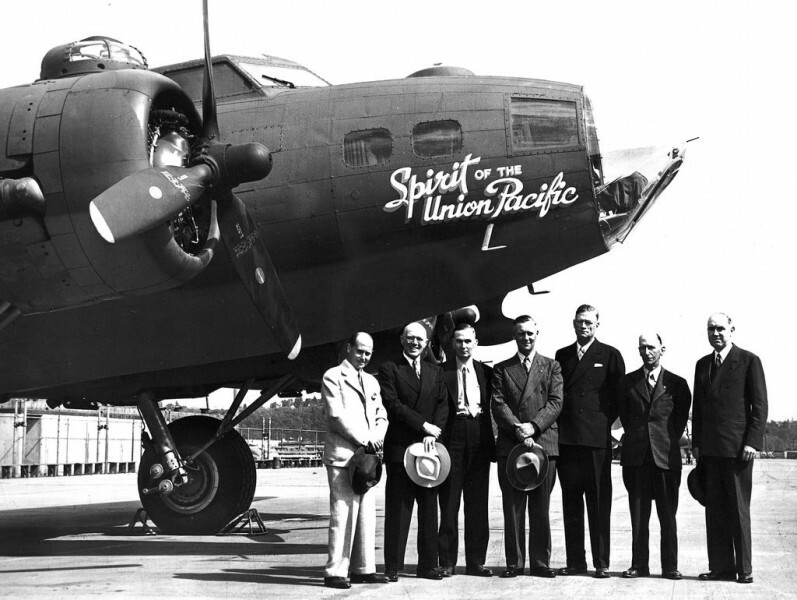 A Boeing B-17 was christened the Spirit of the Union Pacific in 1943, recognizing employees who funded it through war bond contributions. The Spirit of the Union Pacific was assigned to the 571st Bomber Squadron and shot down on its fifth mission during a raid on enemy installations in Münster, Germany. Union Pacific’s Locomotive No. 1943, The Spirit, is the 16th commemorative locomotive introduced in the 155-year-old company’s history. The Spirit honors the United States’ armed forces and the men and women filling their ranks. 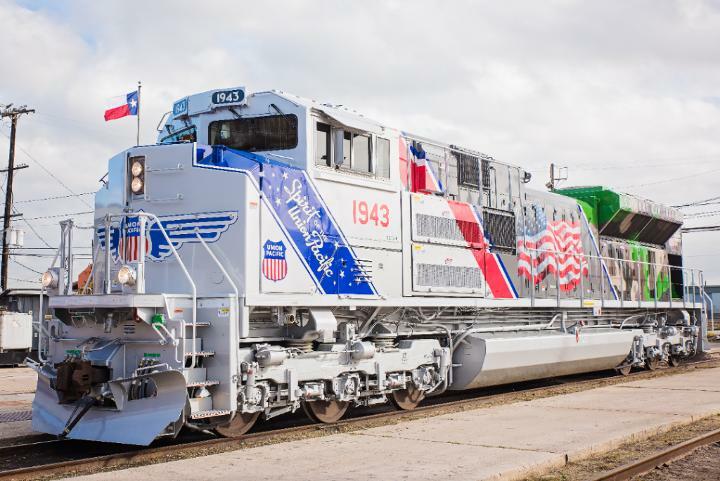 Created in collaboration with Union Pacific veterans, the locomotive illustrates the railroad’s connection to the thousands of veterans who helped build America through the centuries. Every detail in The Spirit’s trade dress incorporates a piece of each U.S. armed forces branch. The Spirit’s front is symbolic of Air Force Silver, and the blue stripe is a reflection of the former Strategic Air Command’s “nose sash.” The lettering inside the sash is the original hand-drawn font used on the B-17. It is followed by the Coast Guard’s “Racing Stripe” and the Navy’s Battleship Gray, which frames Union Pacific’s traditional American flag. The military camouflageis a nod to the Army and Marines.